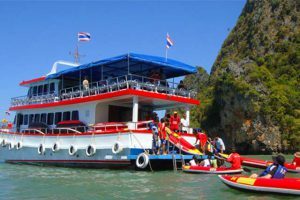 Softdrink ,fresh fruits on boat. 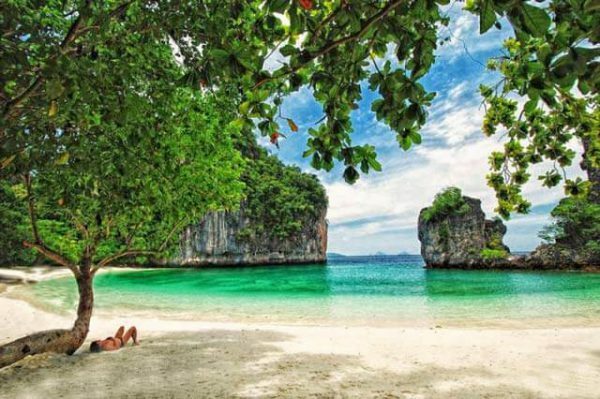 “How good it would be..!! 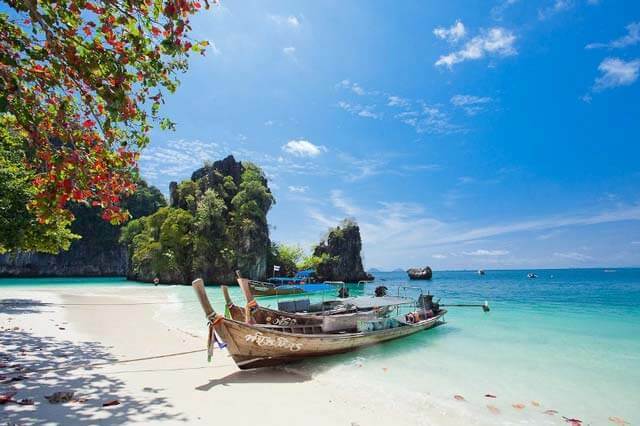 These Islands renowned for their breath-taking beauty, shallow coral reefs and fine, sandy beaches. 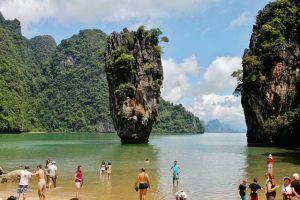 In the middle of the half-circle shaped island lies the secret lagoon, where you can find yourself at one with nature swimming, snorkeling, exploring, relaxing and having maximum fun. This timeless place with long sandy beaches surrounded by jade-like sea is so nice for sun bathing & water play. 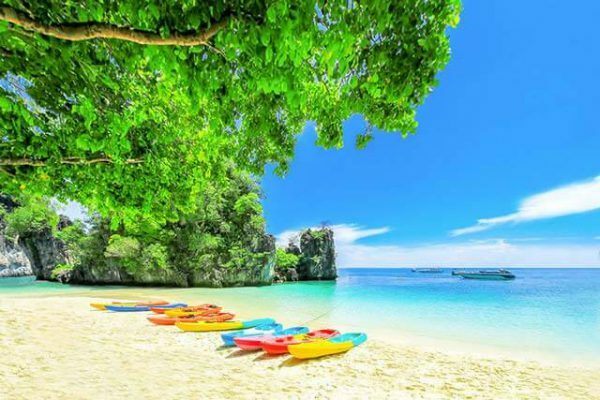 All you need to do is cast your eyes and see through on plenty of wonderful marine wildlife, among crystal clear water and gives you a chance to experience a tropical paradise. 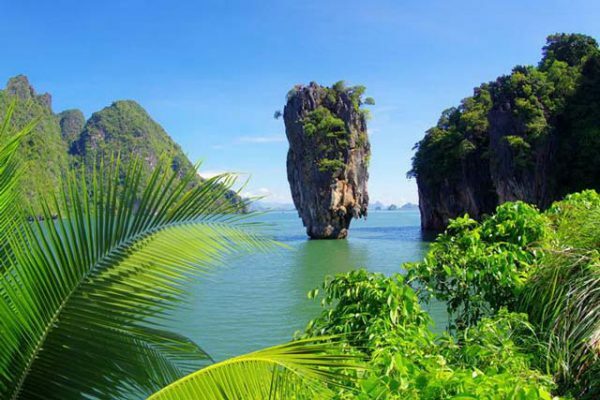 Set against the spectacular backdrop of Phang Nga Bay, with its countless rocky outcrops, the islands are rightly considered to be among the most beautiful in Krabi province,the four small islands that make up the Koh Hong group are widely considered to be some of the area’s most beautiful. 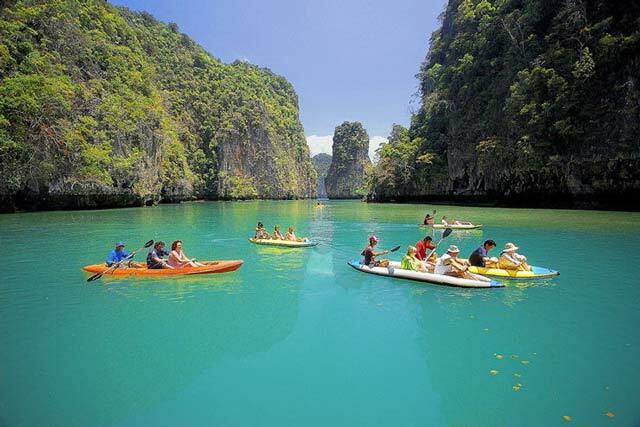 A part of the National Marine Park, the largest of the four islands is the superbly-scenic Hong Island. 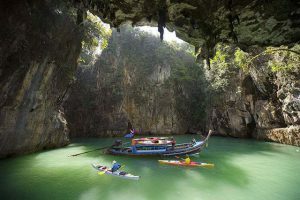 This uninhabited island features soaring limestone cliffs and a vast interior lagoon (the “chamber” from whence its Thai name, “Hong” originates). The deep emerald green of the lagoon is accessed through a dramatic cliff passage and best explored by kayak. 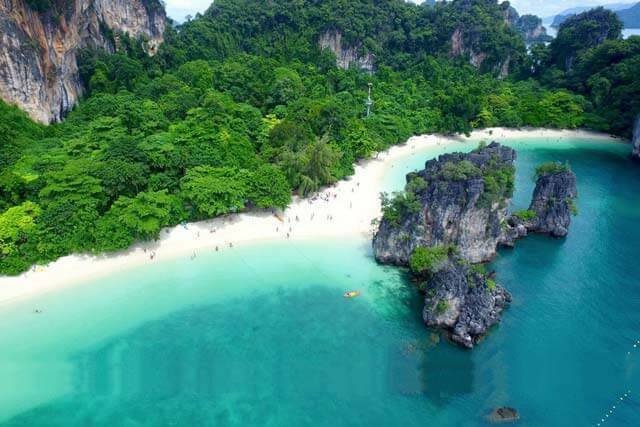 And don’t forget to bring a few slices of bread to feed the schools of tropical fish that will eagerly eat right out of your hand just a few steps from shore. 09:00 Arrive to Port – Welcome by your local guide. 09:30 Depart by speedboat to Koh Hong Krabi for Snorkeling, Swimming and Relaxing on the beach. 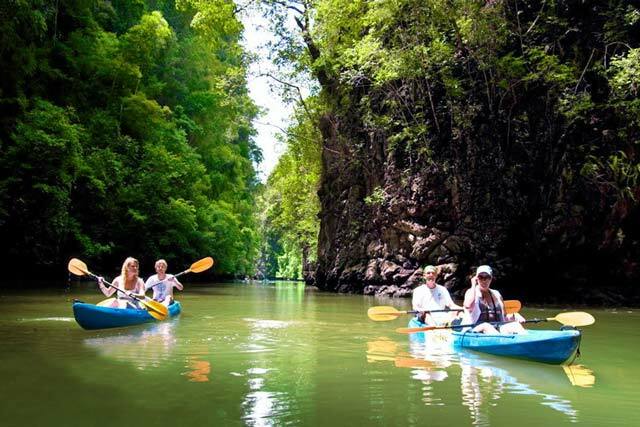 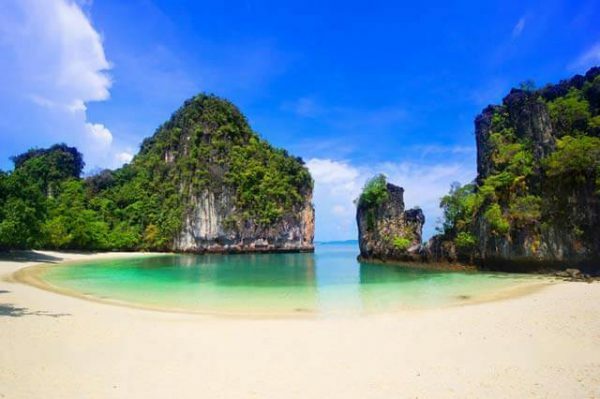 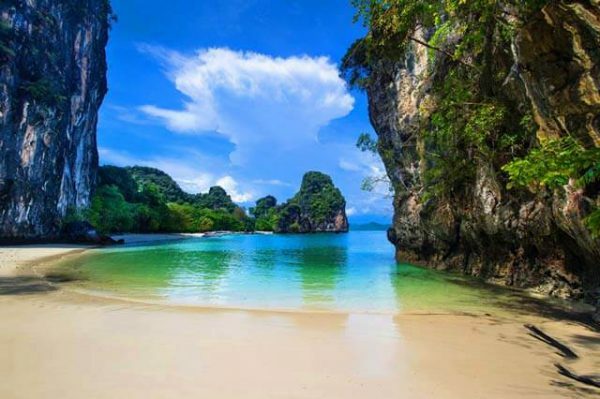 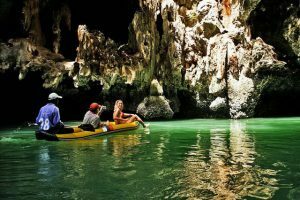 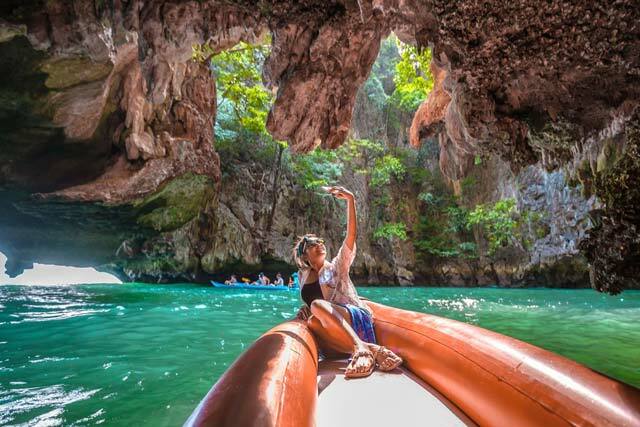 13:00 Visit James Bond Island and admire the spectacular Khao Ping Kan.
14:30 Visit Hong island(Phang Nga) for Canoeing with experienced and knowledgeable guides and Move on to Panak island for Sightseeing in the island’s extensive cave system. 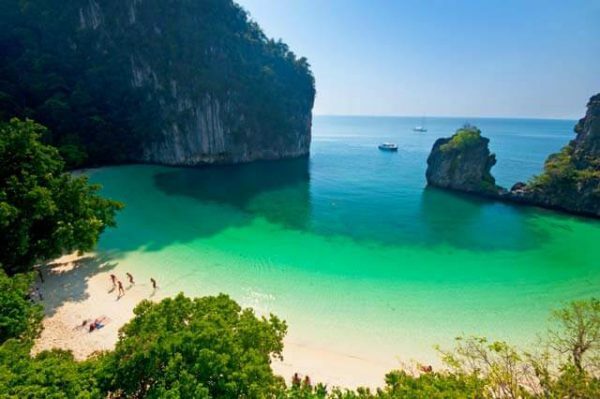 16:30 Return to Ao Por Pier and transfer to hotel.